Acting Up – Trailer 1 from Campaign Social on Vimeo. Putting huge smiles on faces and Big Lottery Fund money into real ‘action’ has been the result of an innovative arts project for the over 60s. 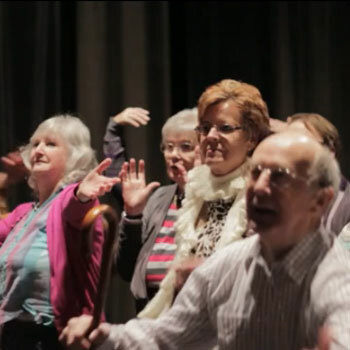 The Kaleidoscope production company encourages older people to get out of their comfort zone, off their sofas and onto the stage through its ‘Acting Up’ project which received £180,000 from the Reaching Out – Connecting Older People Programme. This feel-good film produced by the Newry group shows not only the hard work and determination which has gone into a recent production, but the rewards of fun, friendship and learning new skills which have been discovered along the way. What do you think of the film? Have you been involved in a project that has empowered older people to get active, meet new people and learn new skills? Follow @BIGNIOnline on Twitter and join the conversation or leave a comment below. We’d love to hear from you!